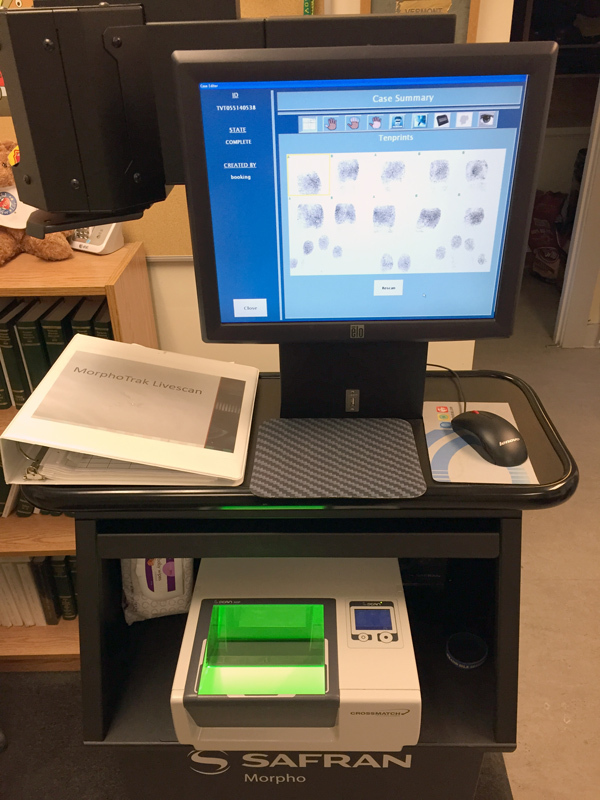 The Grand Isle County Sheriff’s Department provides non-criminal fingerprinting services to individuals for the purpose of employment, adoptions, licensing, volunteering in schools, and other reasons. Fingerprinting is done by appointment only. You can contact the Sheriff’s Department to schedule an appointment. All fingerprints are taken at the Sheriff’s Department in North Hero. The fee for fingerprinting is $25.00 per person, which is due at the time of service. The only payments accepted are cash or a check payable to “Grand Isle County Sheriff’s Department”. Credit or Debit Cards are not accepted. You must bring two (2) forms of identification with you. One of which must be a Photo Operator’s License or other Government issued ID (Non-Driver ID, Military ID, Resident Card).